This plant has been grown emmersed (out of the water). It will look different than the submersed version in the picture. Give it a week or two in your tank and it will change in appearance. Ludwigia inclinata var. verticillata &apos;Cuba&apos; (formerly Ludwigia sp. 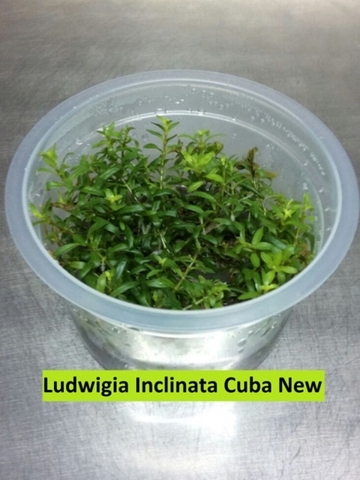 &apos;Cuba&apos;) is a beautiful, showy, large stem plant which grows both submersed and emersed in swamps on the Isle of Youth, a small island off the southwestern coast of Cuba. 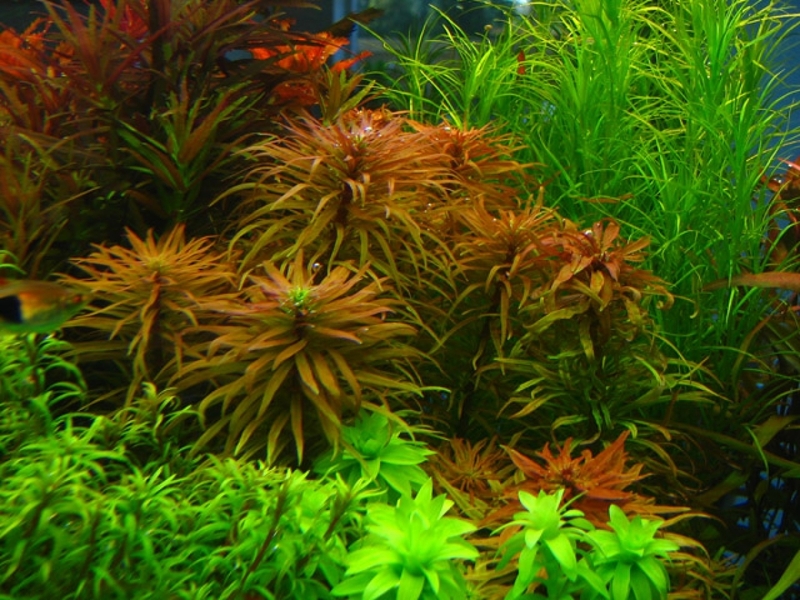 Although having ovate, green leaves typical of the Ludwigia genus when emersed, this stem plant develops long, narrow leaves marbled with red and orange highlights when submersed. Despite its unique appearance, it is but one of many geographical variations belonging to the species Ludwigia inclinata, all of which are united into one species due to the fact that they all bear the same large, yellow flower. L. inclinata var. verticillata &apos;Cuba&apos; was recently introduced to the hobby thanks to the efforts of the Tropica aquatic plant nursery. Although still uncommon in the trade, it should become significantly more popular and common in the future.